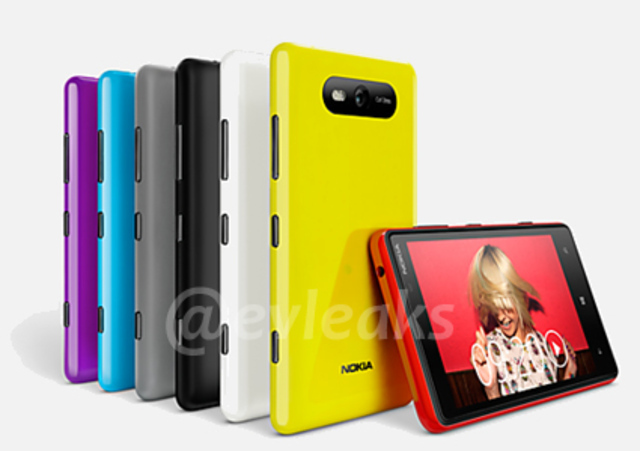 An image of the Nokia Lumia 820 has been leaked by Twitter user evleaks. The 820 apparently has a 4.3-inch display, and if you squint you'll make out "Carl Zeiss" on the camera lens, but not much more is known at this point. It looks though this is the mid-range "Arrow" handset we reported on last week, which is set to launch on AT&T and T-Mobile in the US.